During the brutal Vietnam war several contentious decisions were made, the use of Agent Orange perhaps the most controversial. Agent Orange, a clear liquid named so because of the colour of its container, was a herbicide of sorts and used in conjunction with other, less potent, herbicides such as Agent Blue and Agent White. The Vietcong, known for their guerrilla tactics and cunning resoluteness, had to be stopped by the Americans in order for ‘victory’ to come and ‘peace’ to spread. The Americans believed that targeting the famous Ho-Chi-Minh trail, as well as other key transport routes, which were so vital to North Vietnamese operations via airstrikes and bombing runs was the way forward. The eradication and destruction of Vietcong protection in the form of fauna was high on the US military’s objectives list thus in 1961 the first testing spraying of herbicides was carried out. The US had seen British forces utilise herbicides in a mid 1900s war nicknamed the ‘Malayan emergency’ or the ‘Anti- British National Liberation War’. Similar to the Vietnam war due to its western vs communist nature, the British used chemicals to destroy vegetation used for cover and crops so to gain a foothold over their opponents. In depth journals and studies were published by scientists E. K Woodford and H. G. H Kearns which documented the use of herbicides in the war, its effects, and its efficiency. With the Malayan emergency dying down in 1960 the US, early on in their Vietnamese involvement, saw these chemical defoliants as a potent way to get what they wanted, and quickly. In November 1961, several months after testing had begun, then Secretary of State Dean Rusk informed President John F. Kennedy of the potential of herbicides and explained its use by the British, “The use of defoliant does not violate any rule of international law concerning the conduct of chemical warfare and is an accepted tactic of war. Precedent has been established by the British during the emergency in Malaya in their use of aircraft for destroying crops by chemical spraying.” Whether down to desperation or due to lack of knowledge over the dangers of said chemicals, the herbicides were approved and Operation Ranch Hand was given the green light. Agent Orange was a direct blend of two herbicides both contributing 50%, 2,4-D and 2,4,5-T. The chemical concoction was said to remain actively toxic for around a week maximum before becoming harmless after the damage had already been caused to nearby shrubbery and trees. However there was a huge oversight as the herbicides contained a dioxin named TCDD. According to the Aspen Institute, based in New York, TCDD is “the most toxic of about 419 types of similar toxic compounds”, nevertheless the program was in full flow for just under a decade between 1962 and 1970. I stated before that the US believed Agent Orange to remain toxic for around a week however dioxin is known to remain dangerous for up to twenty years in humans and for over one hundred years if under the surface of water or sediment thus the effects are still felt to this day. The US did everything possible to spread these chemicals across Vietnam, targeting enemy strongholds, trails, and innocent communities in equal measure. Marked locations included key roads and rivers, 95% of chemicals deployed via cargo planes overhead. The remaining 5% was made up of troops and battalions spraying from hand or by truck around military bases. The Aspen Institute tells of some staggering statistics regarding Agent Orange: “About 60% of the herbicides used in Vietnam was Agent Orange. More than 43 million litres (11.4 million gallons) of it were used from 1962-1970. More than 30 million litres (about 8 million gallons) of Agent White, Blue, Purple, Pink and Green were also sprayed. The concentrations were 20 to 55 times normal agricultural use for killing plants.” In total over 4.5 million acres were affected by herbicides. Having stated what Agent Orange was and how many people it affected I feel it now right to described just how damaging it has been and is still being. Laboratory studies on animals have shown dioxin to be a cancer causer whilst Agent Orange as a whole has other significant health risks including severe rashes, neurological problems, type two diabetes, heart disease, and muscular dysfunction. Unborn babies and fetuses are massively prone to the chemicals with many being still born, suffering from brain problems, or dealing with physical constraints such as Spina Bifida which effects the spines on unborn babies. 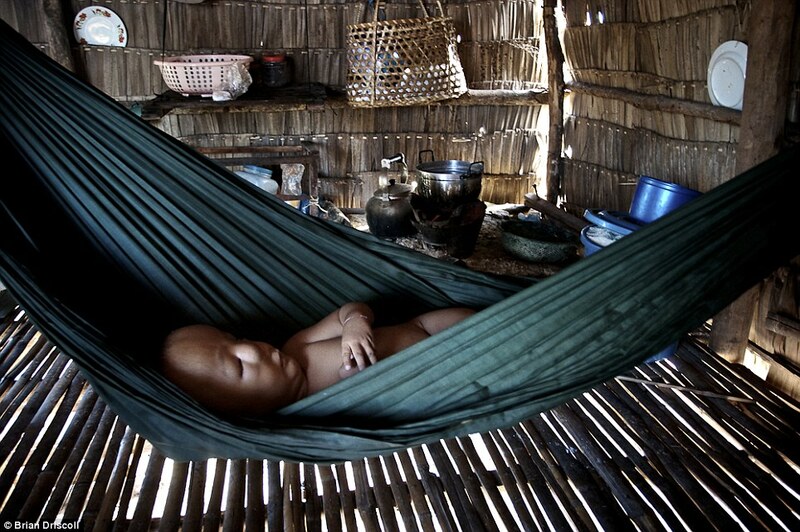 Brian Driscoll, a photographer currently living in New York, travelled through Vietnam in 2008. His photographic collection Will it ever end? explores the brutality of Agent Orange even to those who were not yet conceived during the Vietnam war. Huge health defects upon troops coming home saw the US Government act. Peter H. Schuck, in his 1986 book Agent Orange on Trial: Mass Toxic Disasters in the Courts , claimed that “between 1970, when the spraying of Agent Orange ended, and the summer of 1978, when the first Agent Orange lawsuit was filed, a number of important developments occured.” These included researching Vietnam survivors, understanding the dangers of dioxin, and seeing first hand health problems experienced by veterans and Vietnamese alike. The Americans fully understood the pain they would cause and, through political desperation, went ahead with their plans anyway. Their oblivious nature towards future harm is unsettling and their responsibilities still not accepted by Government powers. Over 400,000 Vietnamese have died as a result of the herbicide program. Even more unforgivable is the fact that over half a million children have been born with physical and mental defects and over two million people are suffering from cancer or other severe illnesses, all of whom were not born or conceived during the Vietnam war. Agent Orange was banned in 1971, stocks destroyed in 1978, yet the effects in all terms are still prevalent today. Still there has been no compensation for Vietnamese victims and families, still there has been no reprieve for the generations of Agent Orange victims born into a world mutilated by the US military fifty years before their birth. Agent Orange was deployed to destroy trade routes and strongholds, the lasting legacy is its destruction of innocent communities and lives.